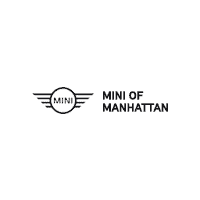 I have leased my 5th (or 6th) Mini Cooper at Mini of Manhattan. I love the car. It’s a perfect vehicle for city living. I wanted to make special mention of Sasha, our customer service person. He has great expertise and makes the whole process streamlined and seamless. Sasha goes above and beyond to please his customers and kept us informed through every step of the process. He is truly a pleasure to work with! Simply put the customer service that I’ve received ever since I’ve become a member of the Mini family is bar none. I am now on my 2nd Mini and I will never leave. Sasha who is my salesman is amazing, he is always ready, willing and able to make sure I am a satisfied client. Who knew that the process of leading a car would be so effortless and complimentary at the same time. You guys are a gem!! Sasha, Catherine , Bradley, and the amazing ladies who work the customer service desk please give yourselves a round of applause because you certainly deserve it. Chance M.
This dealership is a pleasure in every way. Aesthetically, it is a pleasure to look at at every step. As approaching, the square art building provides great thrill. Upon arrival there is a tiny lot with a drive way leading to an automatic garage door that opens to a welcoming clean and modern check in space for service. The staff is immediately attentive at check in and has everything set up quickly and efficiently. There are great snacks, water, and facilities that are modern and smooth. If you choose to wait for your mini, there is a very modern space with chargers and tables. Personal shuttle service was provided to the subway and the ride and driver were excellent. I was glad to know that this awesome,sleek, courteous, and hospitable service lounge was available , if and when it was needed. Always an excellent experience when I bring my MINI Cooper in for servicing. Great staff! Mixed feelings. Receptionists, sales department extremely nice and helpful. However, the service department's attitude sub par. Additionally, our Mini wasn't even vacuumed after the oil change and basic service appointment. Absolutely the best car sales experience you could hope for. No hassles, no upsales, completely transparent. You can trust you are getting the very best at the very best price.